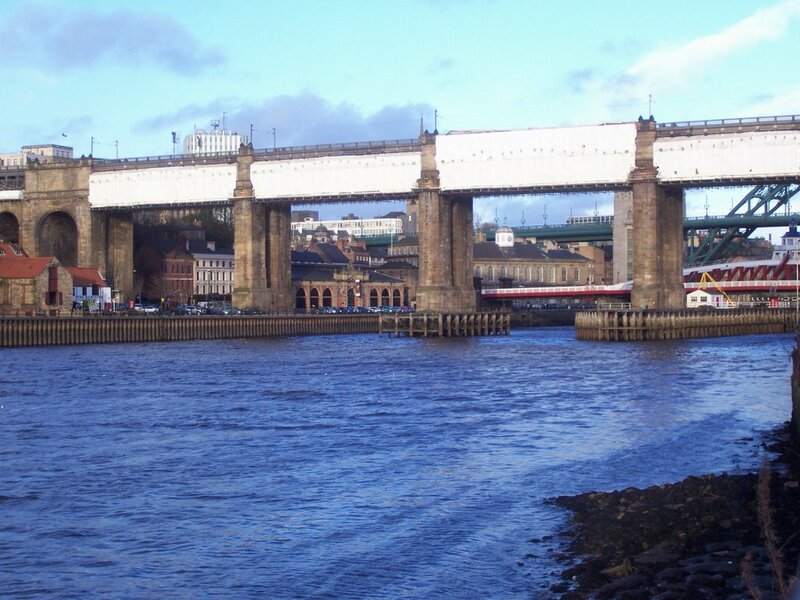 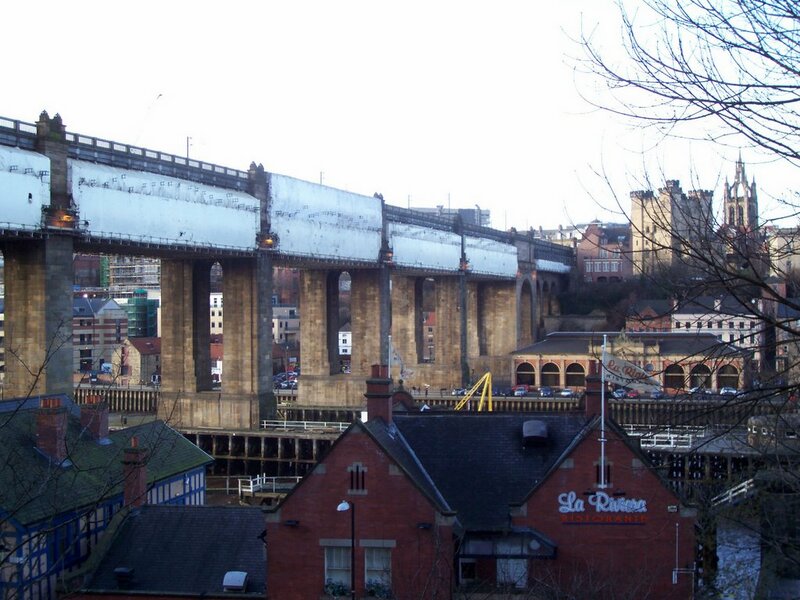 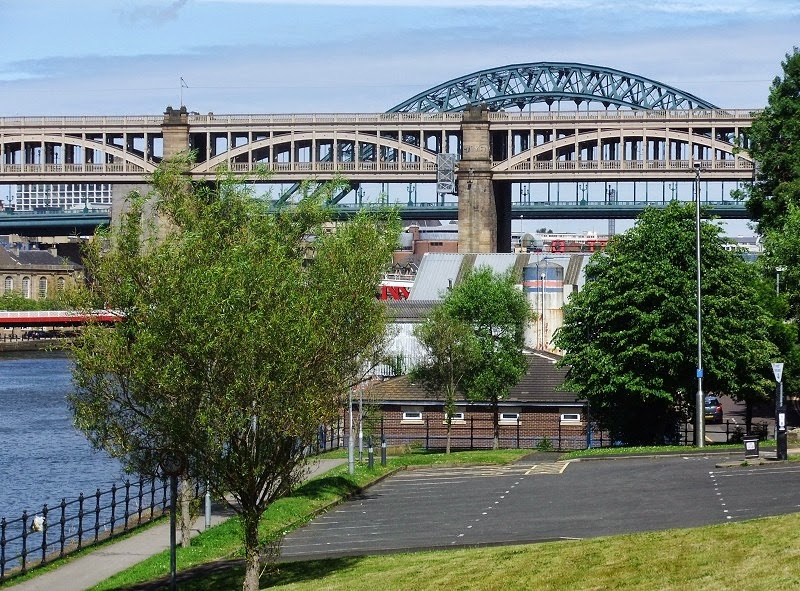 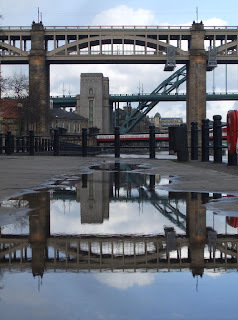 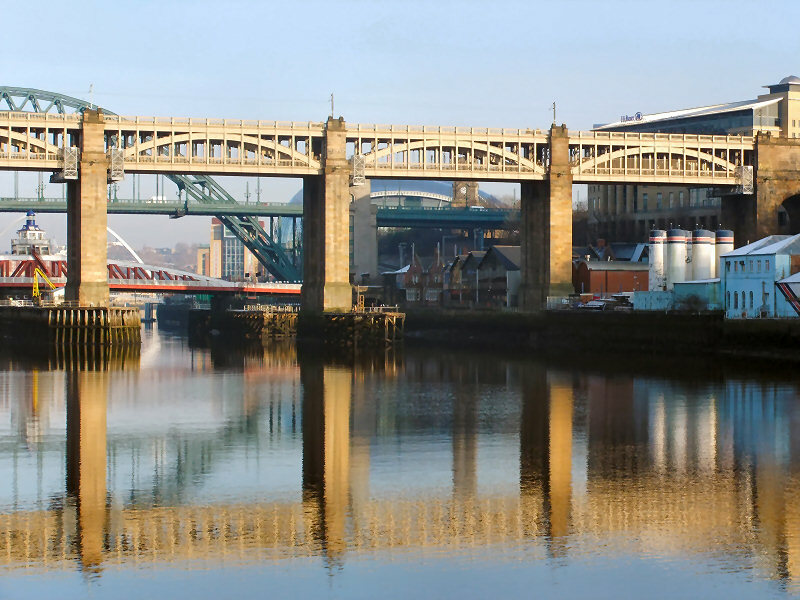 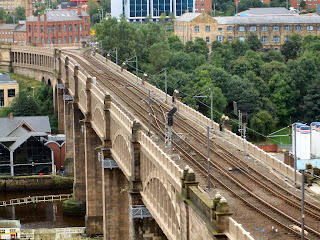 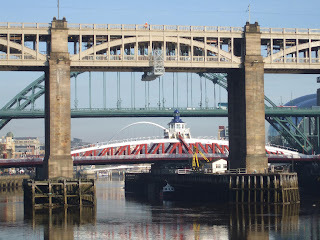 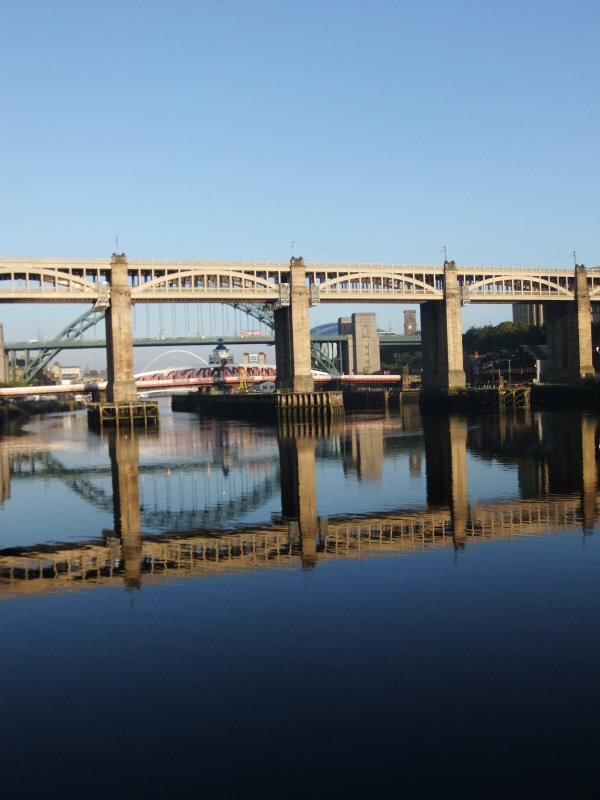 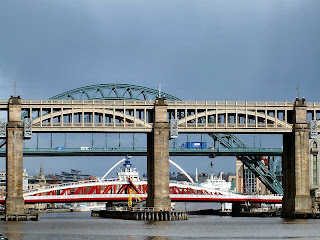 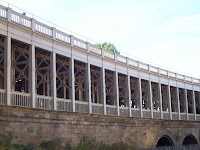 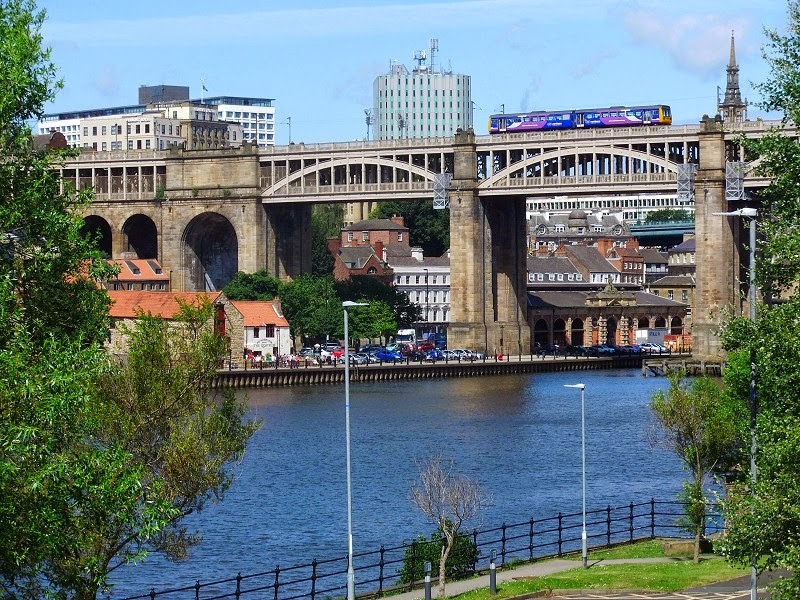 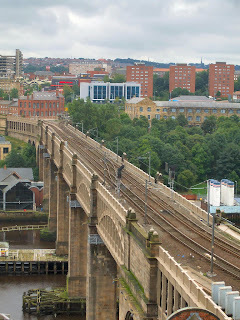 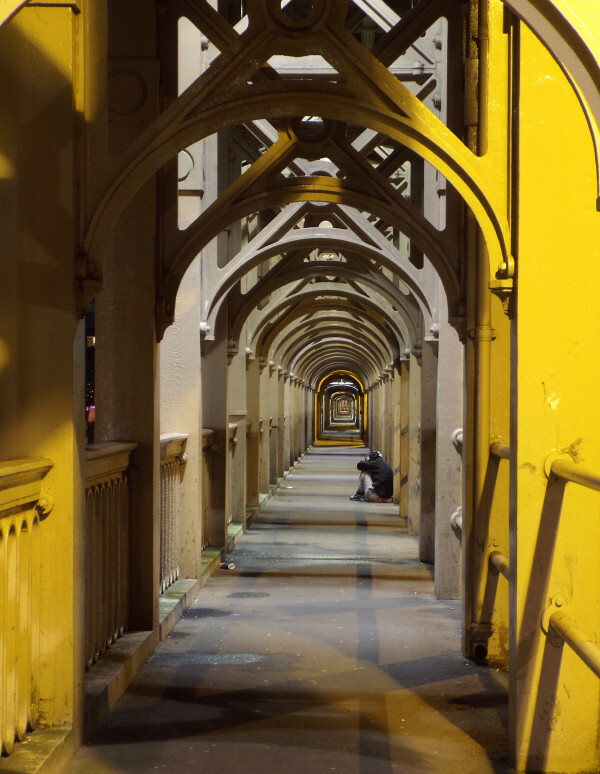 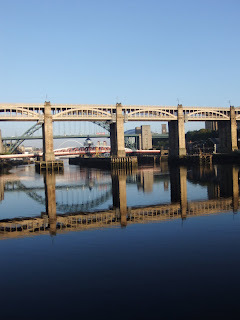 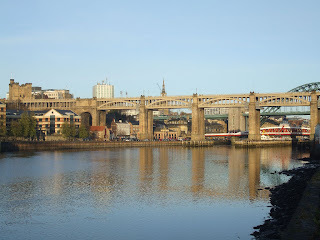 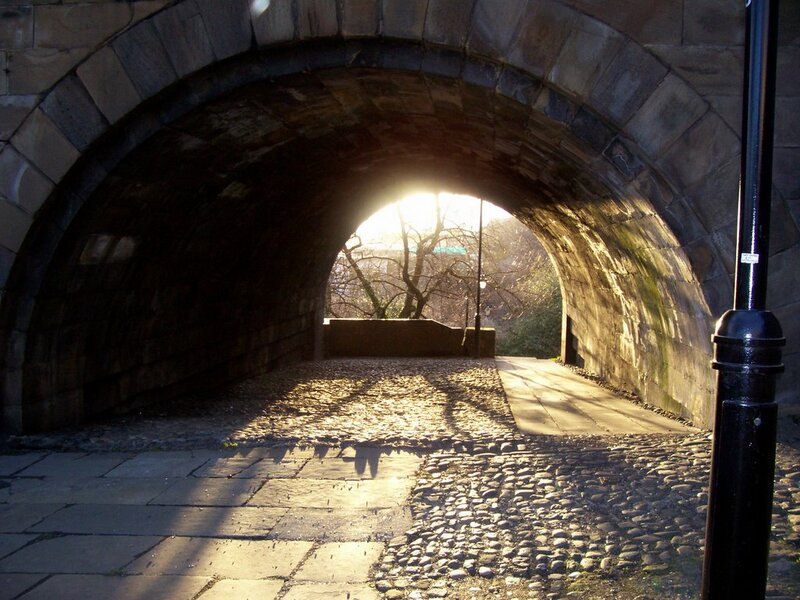 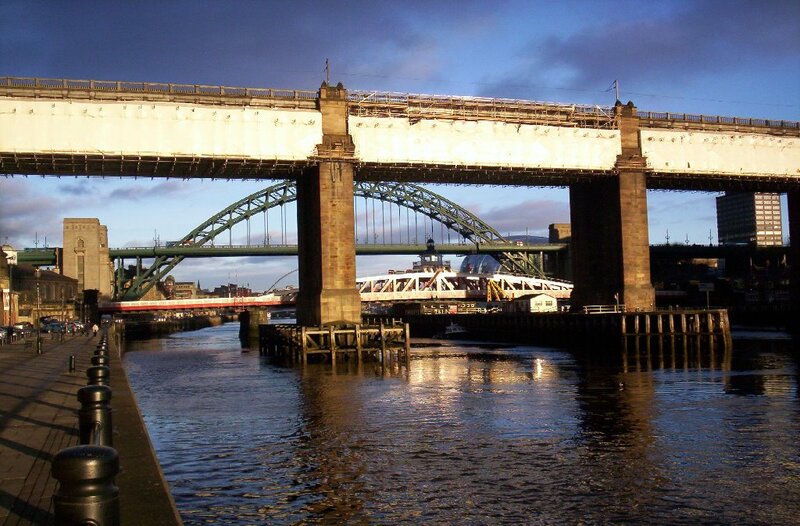 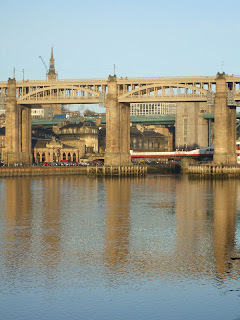 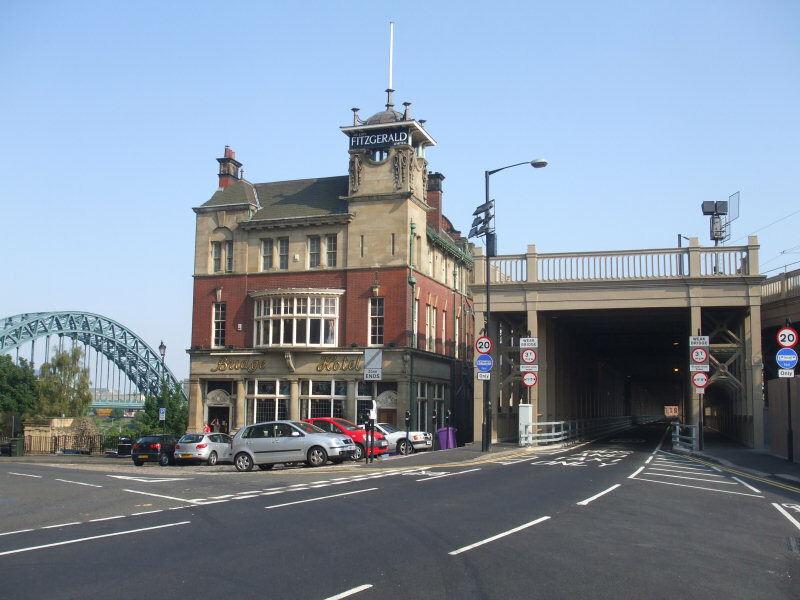 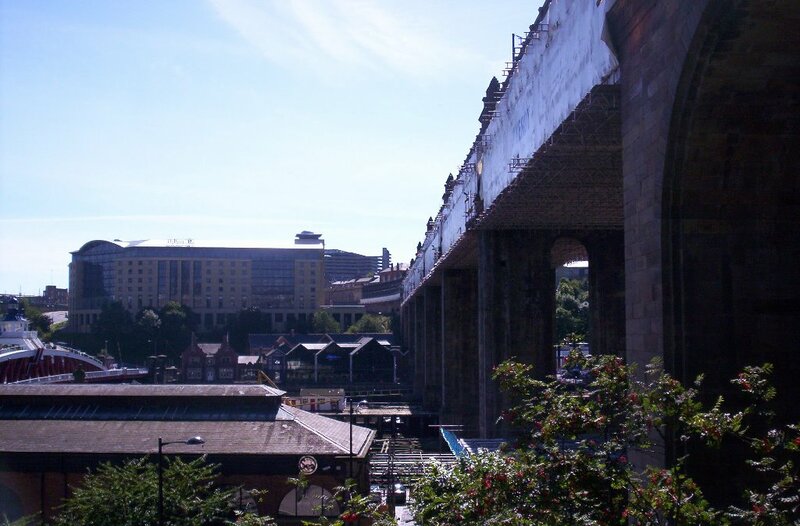 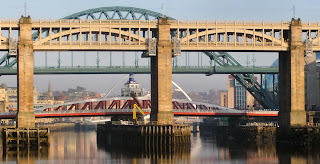 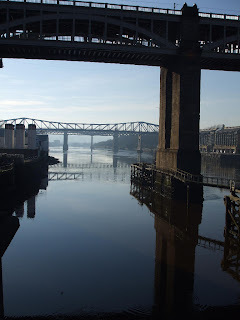 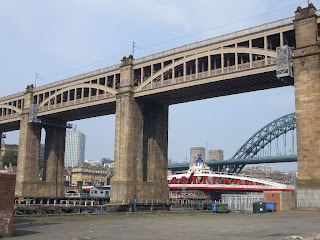 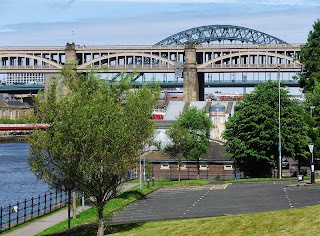 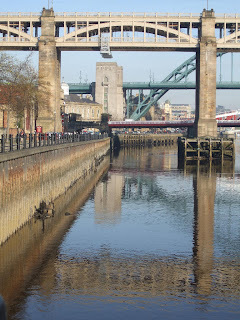 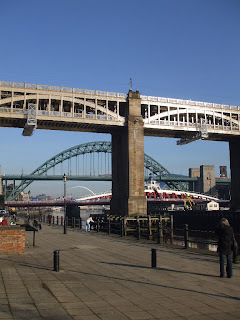 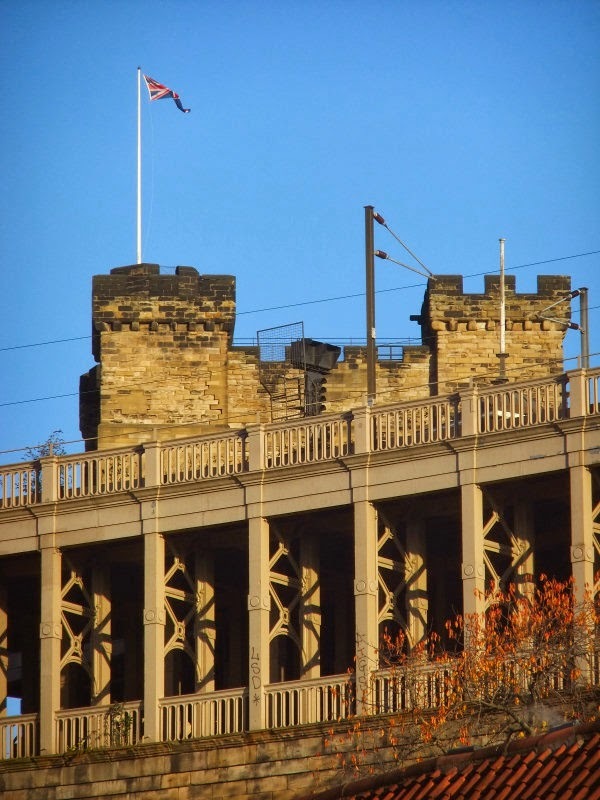 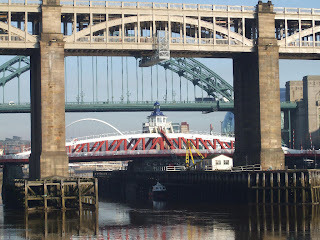 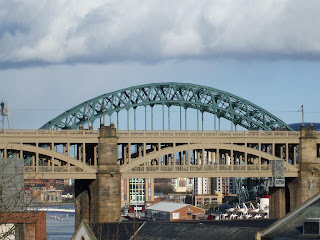 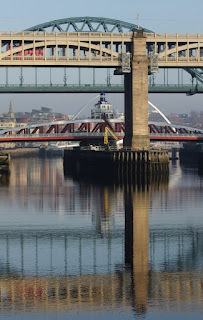 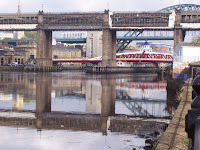 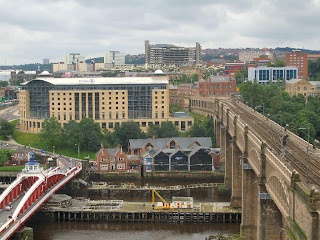 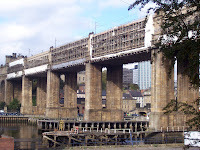 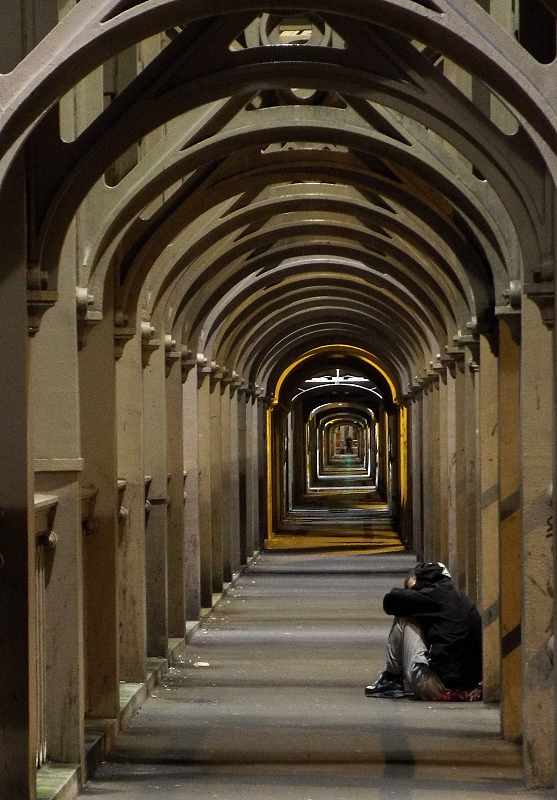 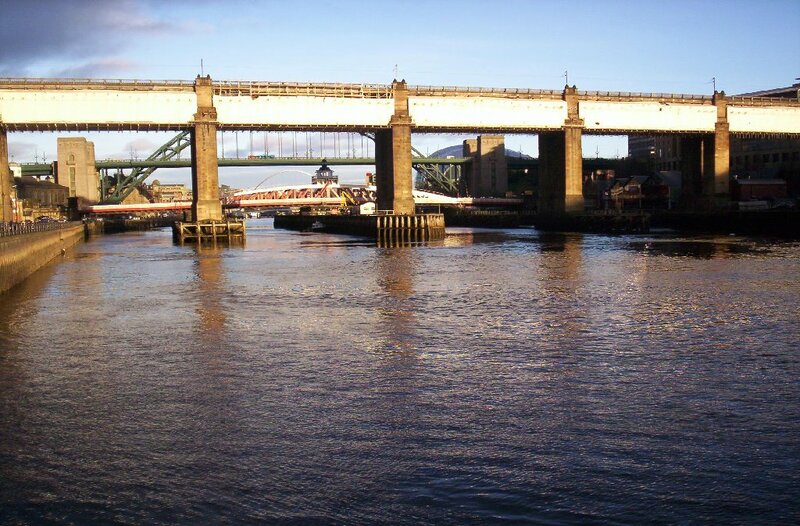 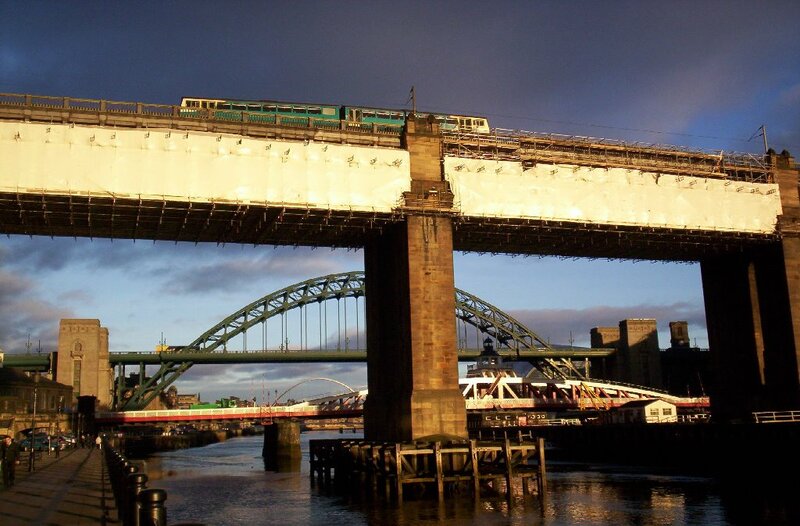 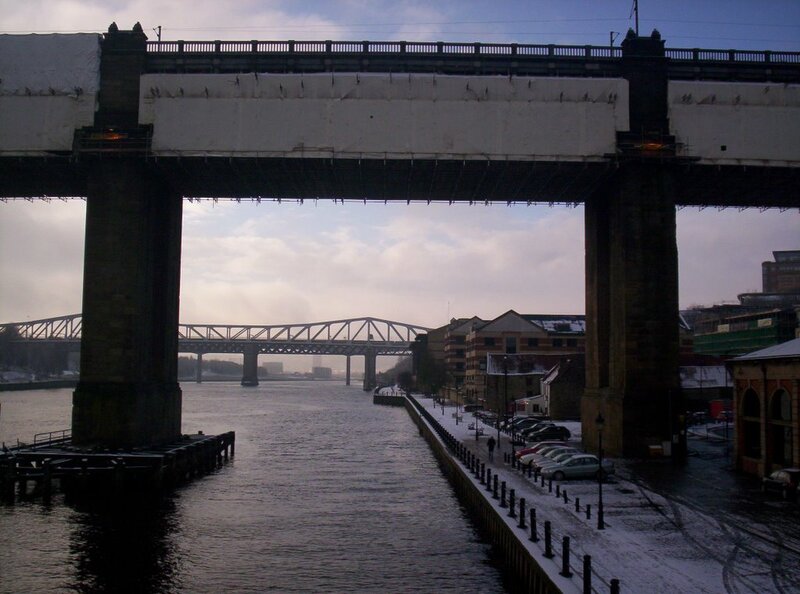 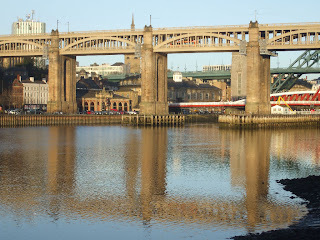 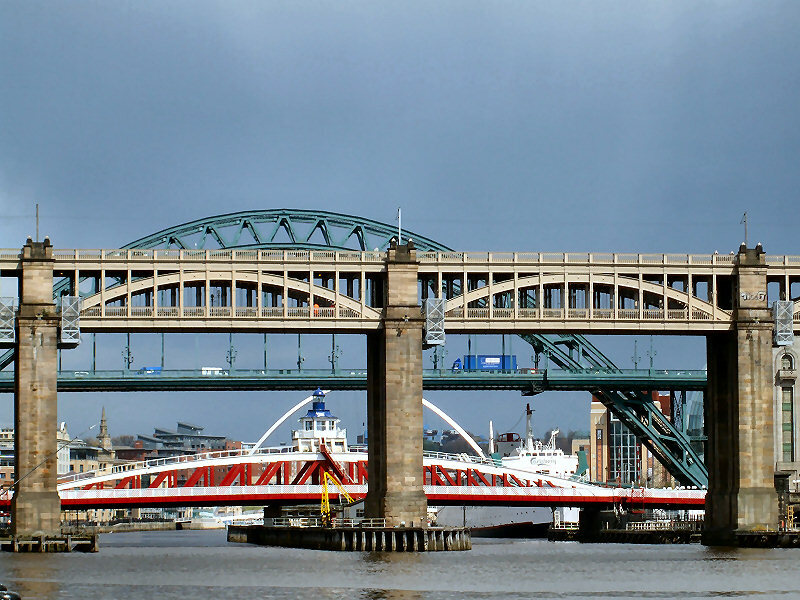 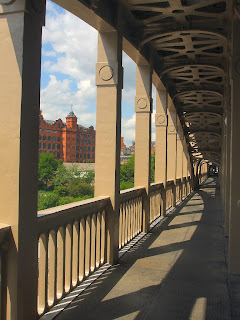 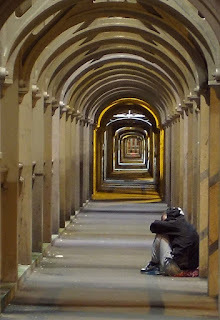 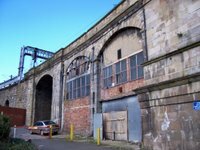 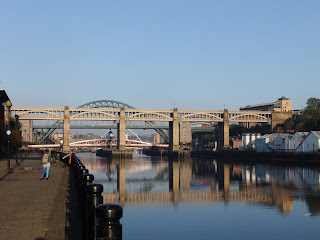 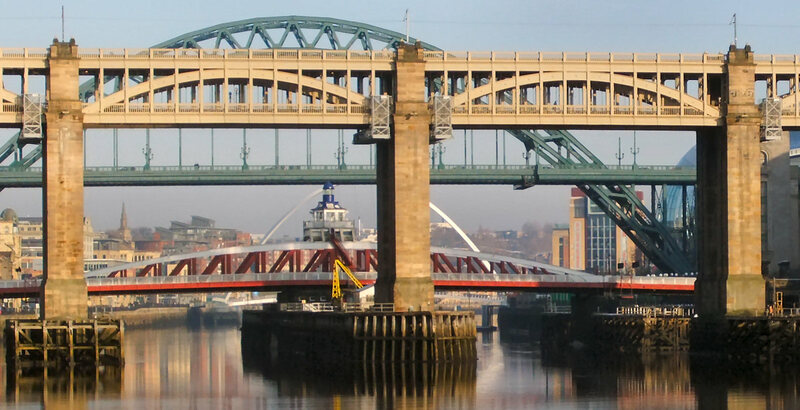 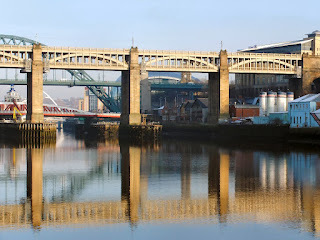 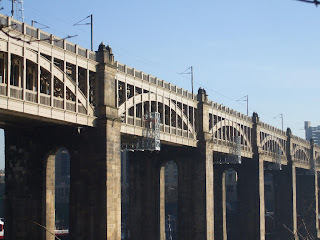 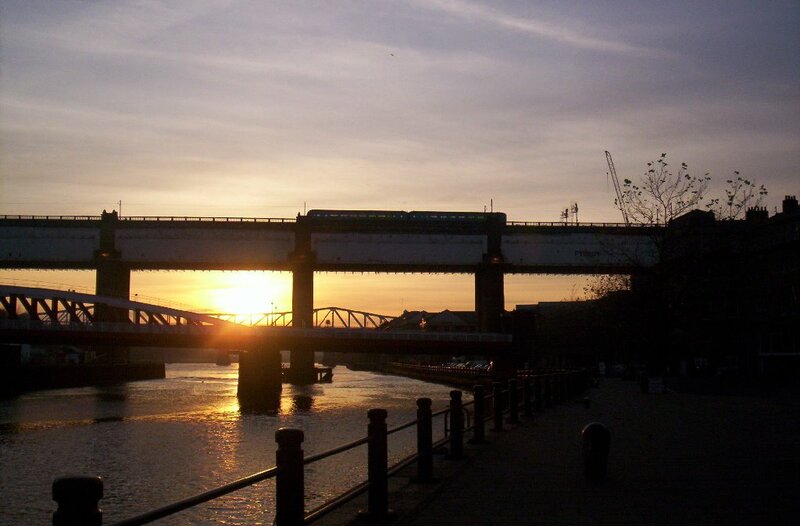 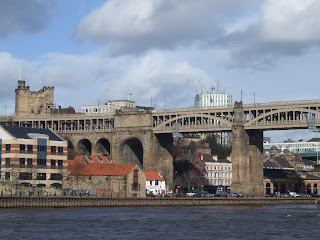 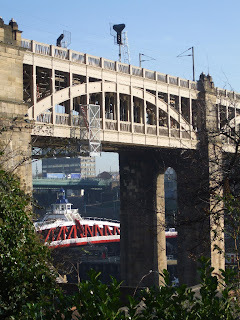 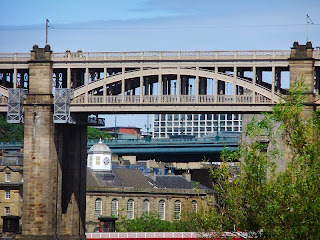 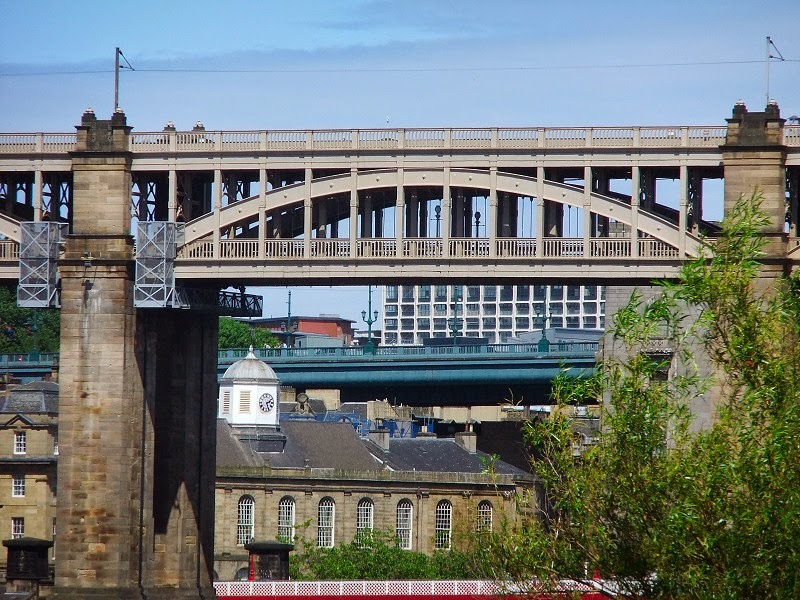 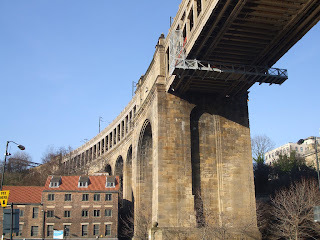 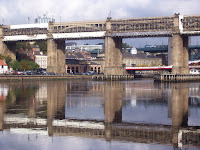 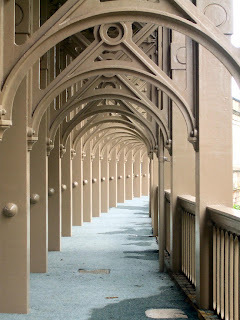 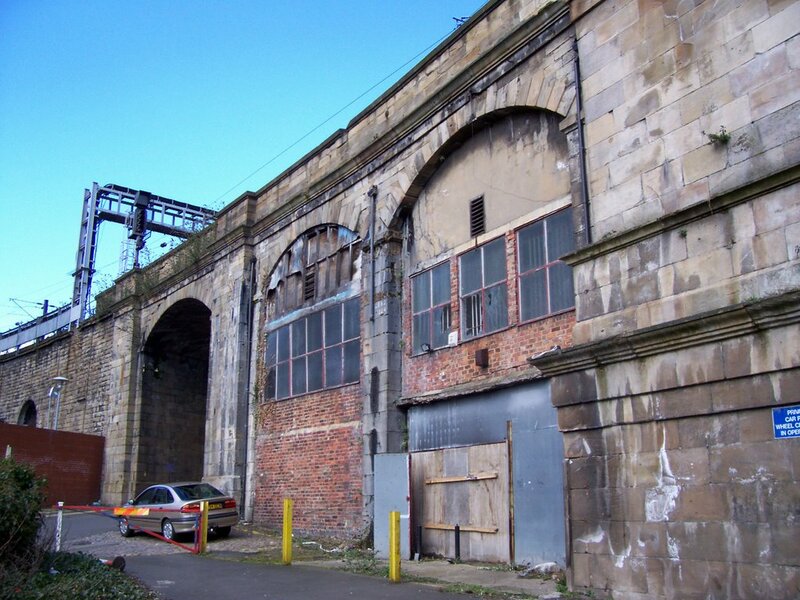 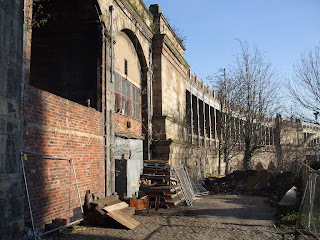 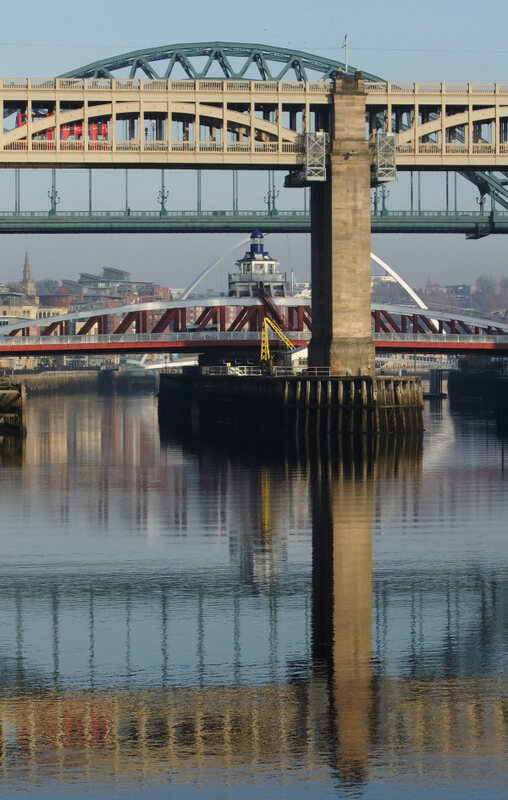 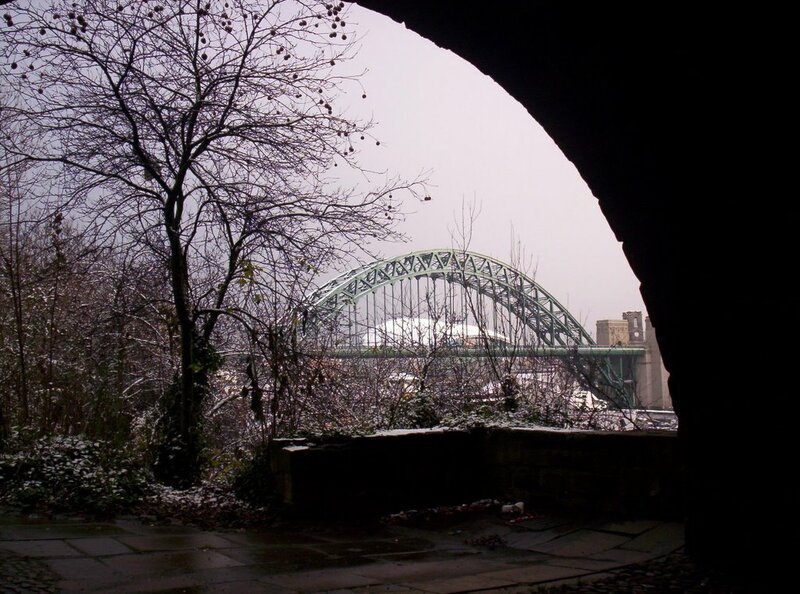 Designed by Robert Stephenson and built between 1847 and 1849, it is the first major example of a wrought iron tied arch or bow-string girder bridge. 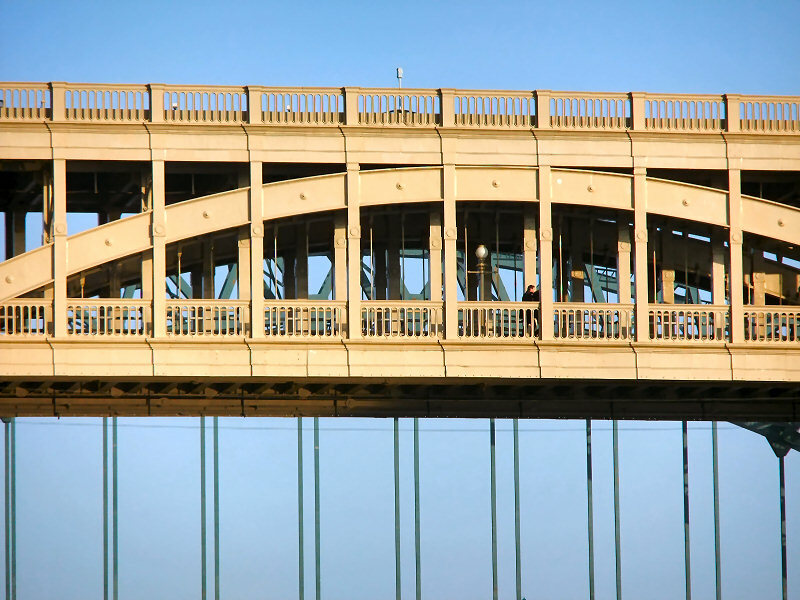 It is a fine and long standing engineering solution to a difficult problem; the spanning of 1337 feet of river valley, including 512 feet across water. 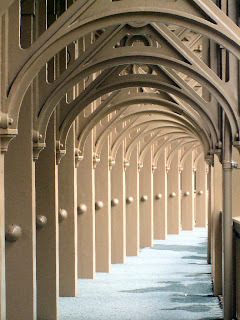 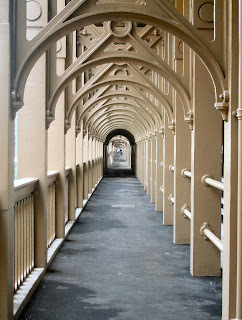 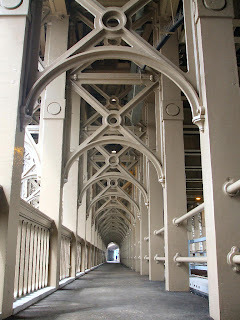 The High Level Bridge has six river spans of 125 feet (38 m) length, sitting on masonry piers, 46 by 16 feet in section and up to 131 feet (40 m) height. 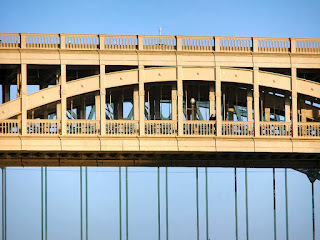 There are also four land spans on each side, of 36 feet 3 inches. 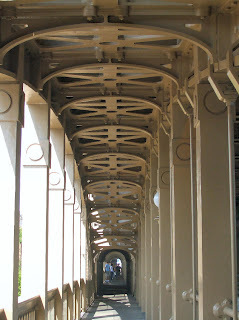 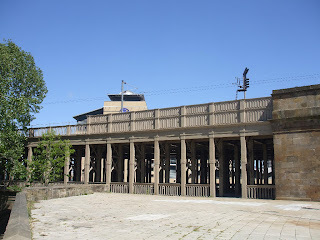 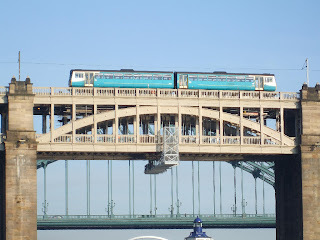 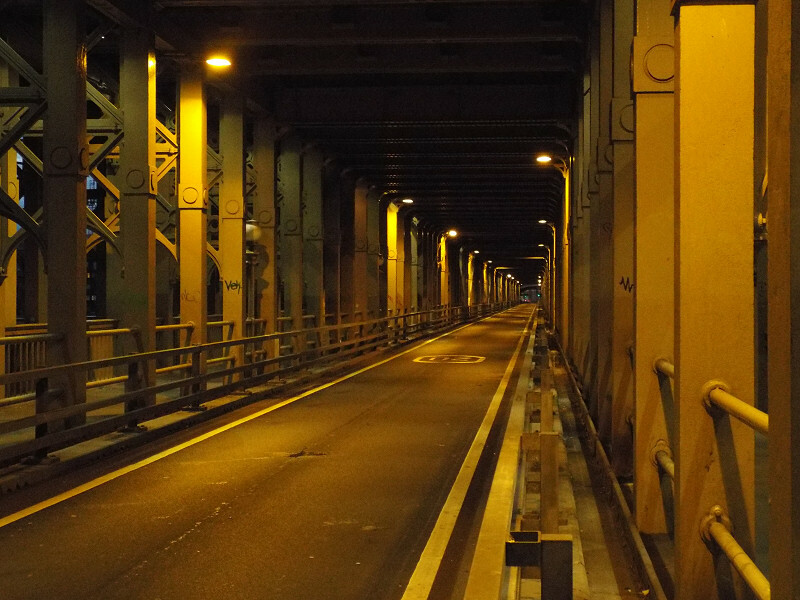 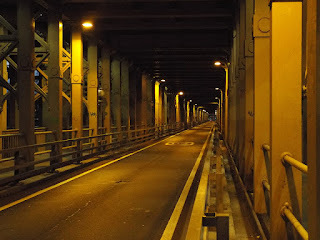 The single carriageway road and pedestrian walkways occupy the lower deck of the spans, 85 feet above the high water mark, and the railway the upper deck 112 above the high water mark. 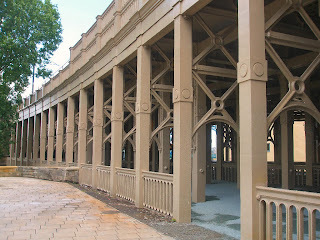 The total weight of the structure is 5,000 tons. 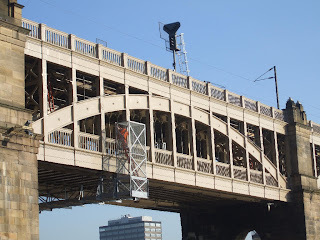 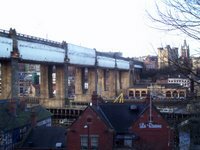 The bridge was closed to road traffic in February 2005 to allow essential maintenance to ensure the bridge's long-term future, including replacement of wooden supports beneath the road deck. 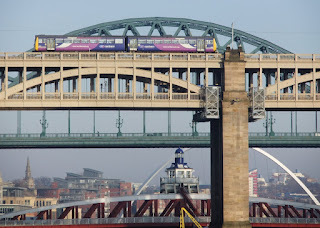 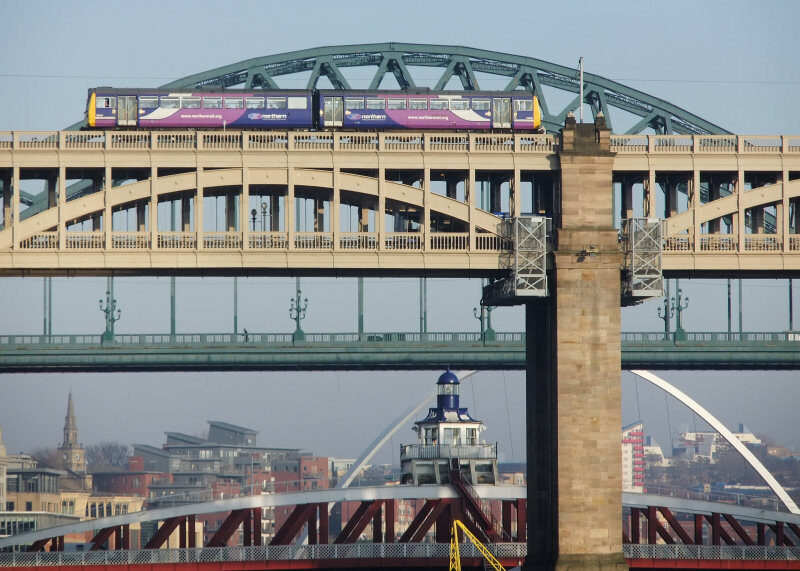 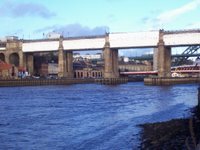 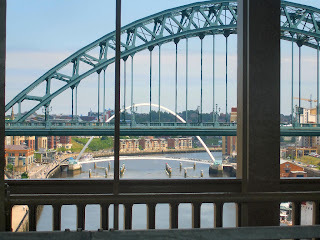 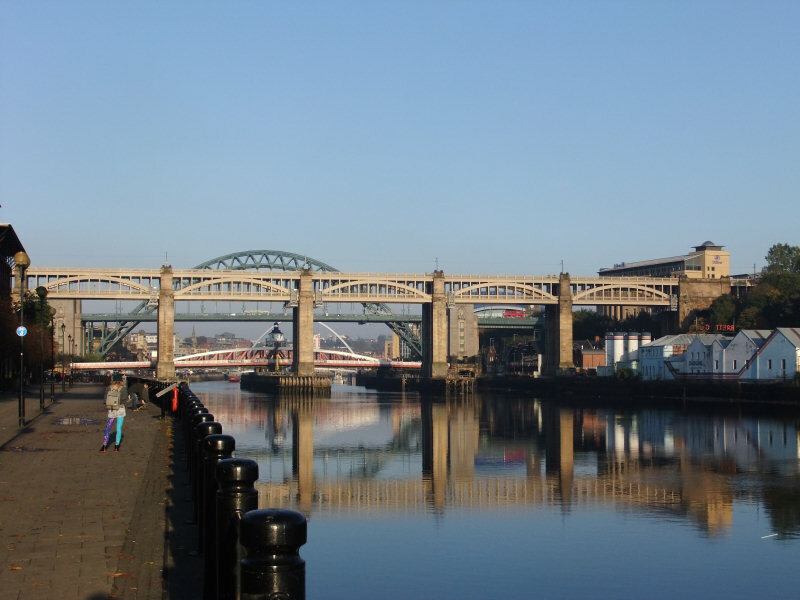 It was expected to reopen in late-2005, however, the reopening has now slipped as severe cracks were found in some of the bridge's iron girders. 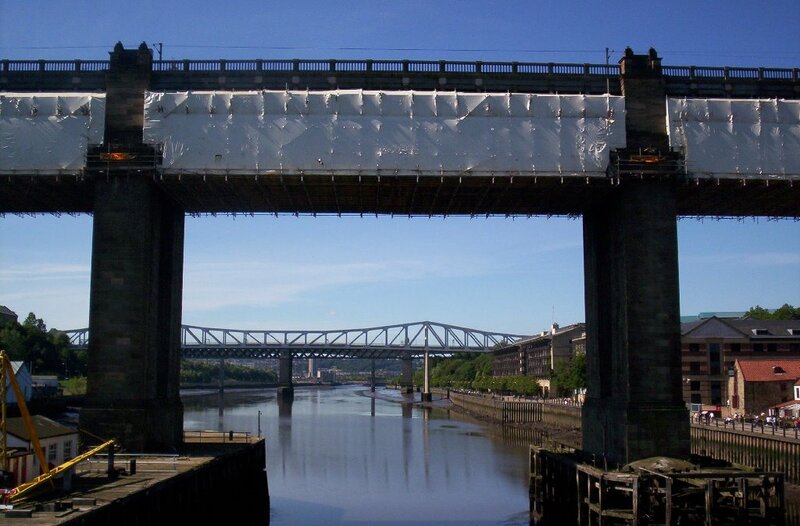 Having assessed the bridge, engineers have decided a crash barrier on each side of the roadway is necessary, meaning that there will be space for only one lane of traffic when the bridge reopens. 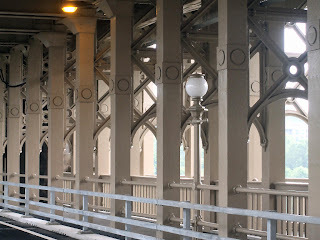 The restoration covers finally came down in February 2008 and I took the chance to get a few photos. 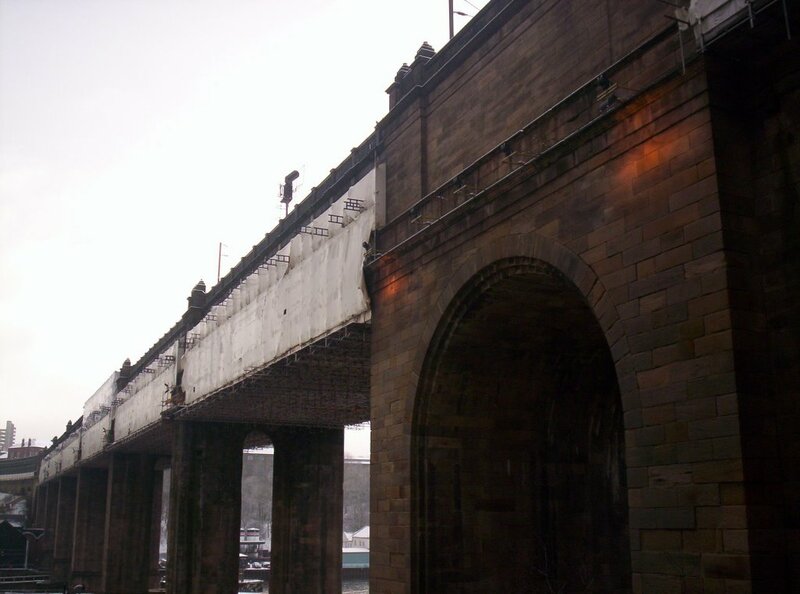 Although it still remains unopen to traffic for now. 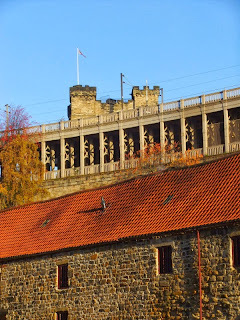 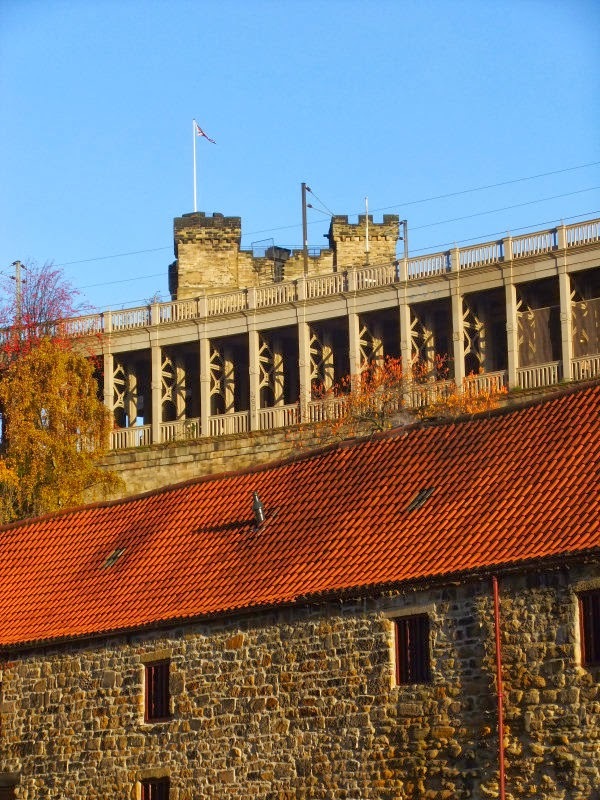 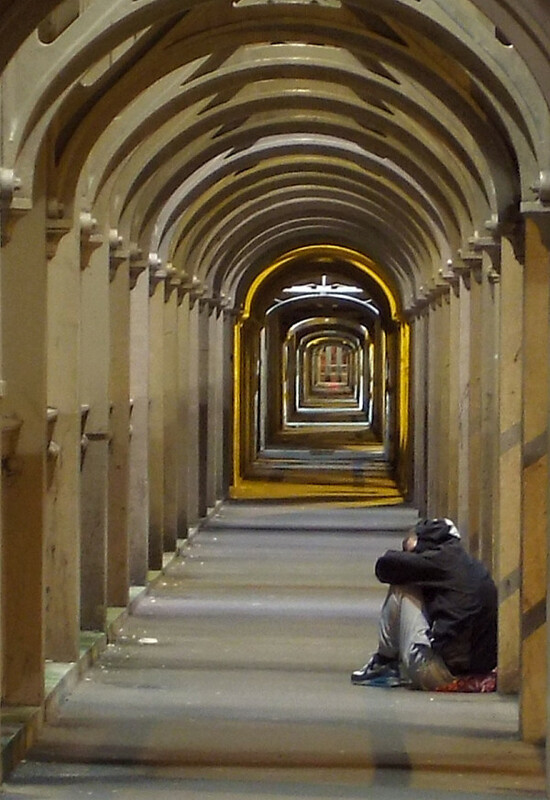 A few photos taken from the nearby castle in 2008. As always, another excellent set of pics!